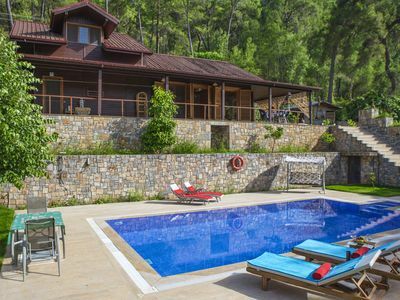 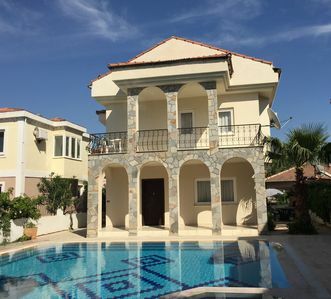 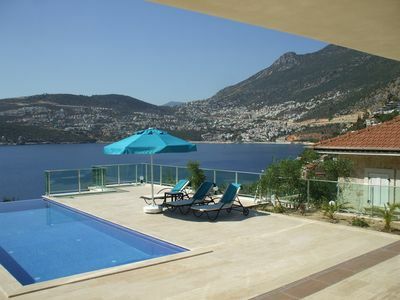 This brand new luxury villa is located at the top of a hill in the Akbel district of Kalkan, and has a capacity of 4 guests. 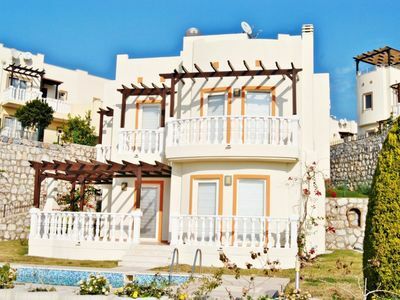 Furnished to a very high standard, the accomodation comprises of a large open plan lounge / kitchen / dining area, two double bedrooms with en-suite bathrooms, a communal w.c., and a large infinity pool and pool terrace. 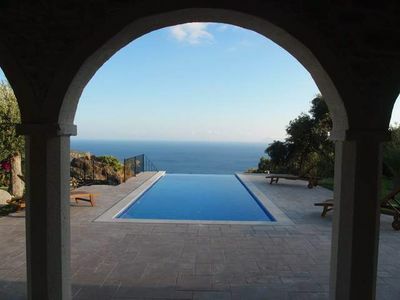 The infinity pool is 9 x 4.4 metres and has a depth of 1.5 metres. 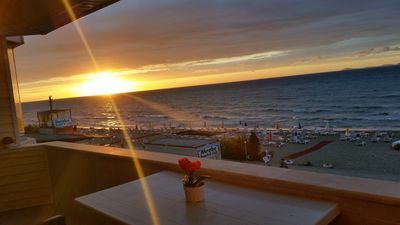 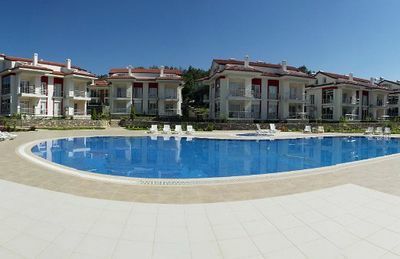 The expansive pool terrace facilities include , sunloungers, umbrellas, an alfresco dining area, portable BBQ, and a comfortable seating area, all from which there are sea views. 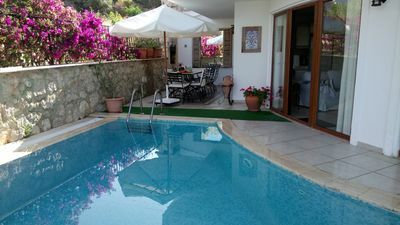 The pool is unseen from outwith the villa, making it suitable for those guests looking for a high degree of privacy, be it for religious or other reasons. 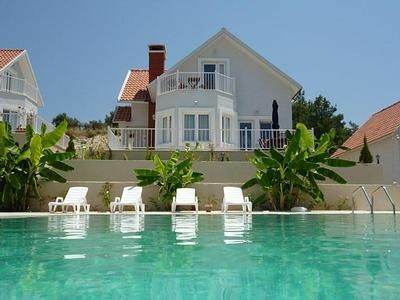 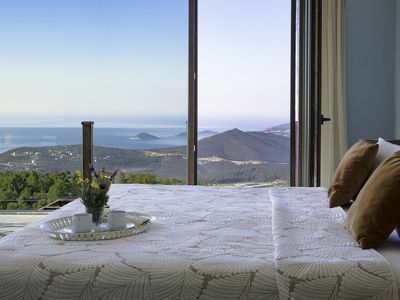 The location of the villa at the top of a steep hill provides the panoramic views, but also means that guests staying here would really need the use of a vehicle. 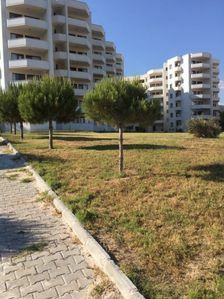 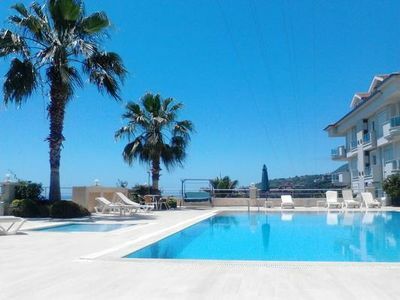 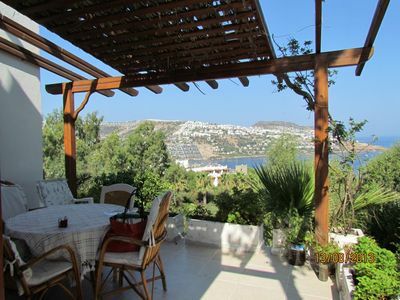 The nearest grocers shop is approximately 700 metres from the villa , and the centre Kalkan some 2.5 km. 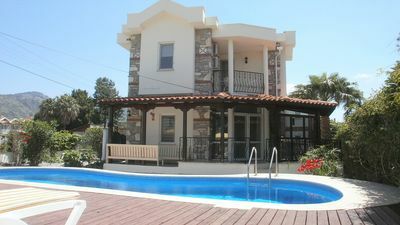 The villa is fully air-conditioned, has wi-fi internet, and parking space adjacent to the villa. 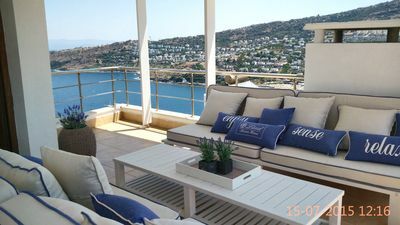 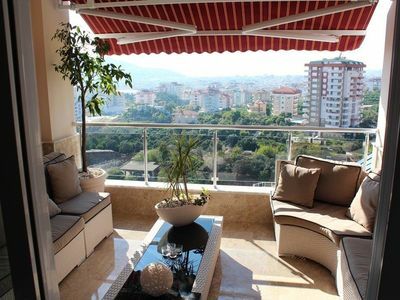 Duplex penthouse in a 5 star residence with fabulous view and luxury.